By far one of Britain’s best and biggest casinos, the Aspers Casino in iconic commercial centre Westfield Stratford City broke records when over 30,000 people visited it within three days of its opening. Earning the distinction of being the UK’s first 24-hour super-casino, the Aspers appeals to seasoned gamblers and also to those who want to have a night out after a long day at work. Aspers is a joint venture between Crown gambling group and Damian Aspinall, whose father, the renowned John Aspinall, established a chain of exclusive casinos in London in the early 1960s. Aspinall’s casinos attracted a clientele of aristocrats and royalty or other people with high social standing. Aspers, on the other hand, is geared towards the everyman, relying less on high-stakes gamblers for profit, and more on the people who simply gamble for fun. But even though the casino is open 24 hours, standards remain high at the Aspers, and the casino generally demands the utmost respect. Many of the strict security measures in place prevent just anyone from walking in from the street and playing at the tables, and if staff spot any shenanigans and untoward behaviour going on at the tables, they have the right to ask the patrons to leave. Three years after Aspers Westfield Stratford City was established, another super-casino was built in Milton Keynes, with another possibly on the way soon. The Aspers group has already confirmed interest in building a £330 million project in Southampton, too. Because Aspers is operating on a special “large casino” license, its gaming hall is unlike any other seen in the UK. 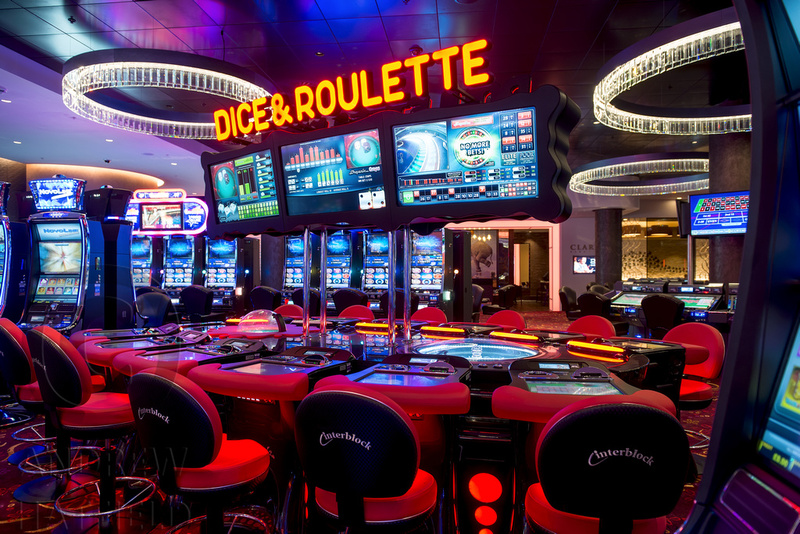 With 40 roulette and blackjack tables, 92 electronic gaming terminals, 150 slot machines and a 300-seat poker room. The casino also prides itself in its updated list of games, even though they showcase casino staples such as blackjack and roulette; they also have games like punto banco and Casino War. Games such as Dice and the Wheel of Fortune remain popular in Aspers, but it’s probably their poker rooms that get the most attention, having been part of the World Poker Tour and Amateur Poker Association & Tour in previous years. Regular poker tournaments are also held daily in the casino’s poker room. For those less inclined to play table and card games and more interested in betting, there are also eight sports betting terminals available in the casino, where punters can bet on thousands of sporting events from across the world. Although largely a casino space, Aspers also offers dining options with Clary’s Restaurant. Serving everything from pizza to the finest steak, visitors of the casino are sure to enjoy the casual dining experience of Clary’s Restaurant. If you’re afraid that coming in on a particularly busy day may mean you miss out, it’s possible to book reservations with the restaurant online. Casino-goers should also be delighted to know that the restaurant accepts gaming cash chips as currency, and that casino members may even be treated to free meals after accruing enough loyalty points. Aspers also has a magnificent Sky Bar, where guests can enjoy a drink as they take in the sights and sounds of Westfield Stratford City around them. The Sky Bar regularly hosts live music events and even Open Mic nights, but for those who want a bit more privacy, a private VIP room is also available for those willing to pay a little extra. An exquisite selection of wines and chilled beers from around the world, as well as expertly mixed cocktails, are also readily available at the Sky Bar. Regular poker tournaments are held in the casino’s poker room every day, but major tournaments and competitions also take place on occasion. There’s no strict dress code to enter Aspers, although guests who dress in hoodies and jeans should expect to be turned down at the door. Smart casual attire should, however, afford guests access to the casino. Unlike other London clubs, Aspers Westfield Stratford City does not require membership to be able to use the casino’s facilities. Guests can simply walk in from the street and begin playing at the tables, but for those who want to make the most out of their Aspers experience, an Aspire Reward card is also available, which lets guests accumulate loyalty points for food and drink at the casino.